SALEM – Representative David Brock Smith (R-Port Orford) has long been an advocate for rural Oregon communities and their residents. As a former School Board Member for the Port Orford-Langlois School District; which is the 8th most impoverished School District in the Nation, Curry County Commissioner, Association of Oregon Counties and Association of O&C Counties Board Member, he has worked on natural resource and economic development issues that impact rural Oregon for well over a decade. As southwest Oregon still struggles to recover from the recession; with unemployment around 6% below mean 0 pre-recession, in the wake of the Chetco Bar Fire and in the face of a California modeled carbon tax that would economically hurt rural Oregonians the hardest, Rep. Brock Smith has introduced a bipartisan bicameral bill that will protect the health of our most vulnerable, grow family wage jobs in our rural Oregon communities, build healthier forests and sequester carbon emissions for generations. Unlike the proposed carbon tax; modeled after California’s extremely expensive and punitive program, Rep. Brock Smith’s HB 4109 is a bicameral and bipartisan piece of legislation that looks to our amazing, renewable forests. “As a member of the Global Warming Commission; appointed by the Speaker, we know that Oregon produces less than .14 % of the global greenhouse emissions. Our abundant forests sequester over 60% of the greenhouse emissions produced in our State. Yet over 30% of these sequestered diesel, gas and other emissions are released back into the atmosphere in catastrophic fires, such as the Chetco Bar, releasing with them toxic emissions that impact the health, safety and lives of our residents,” said Rep. Brock Smith. These greenhouse gas emissions are also released through disease, decay and the lack of salvage on burned forestlands. The proposed Carbon Tax could also allow California Industries the ability to drive up the costs of the program here in Oregon, protecting their own markets in California and their families and residents. “This is shortsighted and a $1.4 Billion dollar policy has no place in a 35 day Legislative Short Session,” said Rep. Brock Smith. “Data supports that our public forests are overgrown and unhealthy. 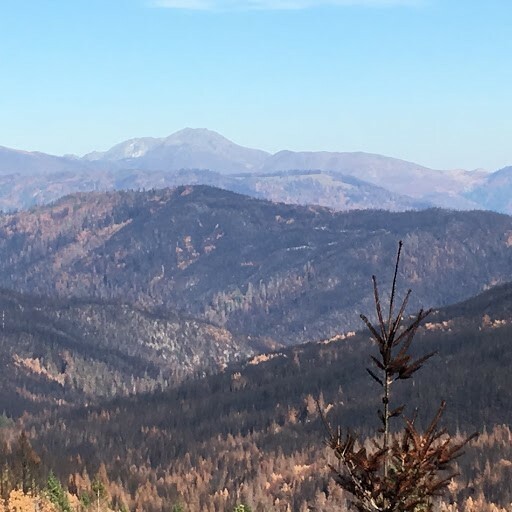 Regardless of what side of the climate argument you are on, the landscape is changing and we must adapt the forest management practices to address the changing conditions,” said Rep. Brock Smith. “We our blessed to grow the best solar powered carbon capture and sequestration engines in the world. Using sunlight to scrub greenhouse gas emissions from the atmosphere to produce oxygen, with a byproduct that is the most resilient building material in the world, wood. My bipartisan legislation looks to manage our resources, promoting forest health and habitat, while mitigating wildfire, creating jobs and sequestering carbon for generations. 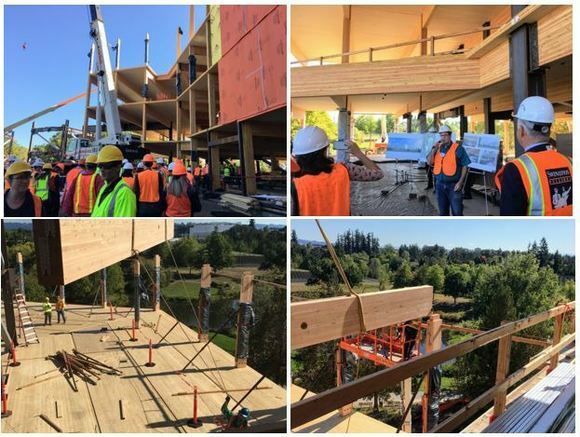 It will help provide the needed supply for our wood product industries; such as CLT and Mass Timber in combination with our aggregate and steel industries, to grow and support their rural Oregon residents and their communities. All while growing more carbon sequestration engines that use less water and sequester carbon at a greater rate,” said Rep. Brock Smith. Rep. Brock Smith’s Healthy Forests & Rural Job Innovation through Carbon Sequestration Bill is scheduled for a public hearing in the House Agriculture & Natural Resources Committee on Thursday, February 8th.